Industrial personal computers (PCs) include desktop models and portable laptops, notebooks, and tablets. They are generally x86 PC-based computing platforms that are backward compatible. Industrial computing can be used for process control and data acquisition. 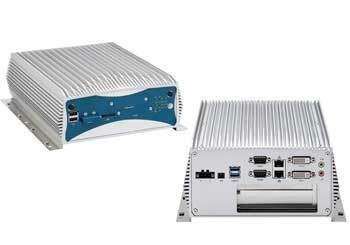 Industrial PC design and software can be customized to fit a wide variety of automation applications. PC design changes frequently to meet technological advances and industrial application needs, such as innovations like the panel PC, which integrates the display and electronic components into one mountable display with a touch screen for user interaction. There are differences between consumer and industrial PCs. Not only are they generally more robust and reliable, but they also offer more expansion capability and long-term supply options. PC components are selected for durability, from heavy metal construction to additional cooling, filtering, and environmental protection. More secure access is also important in an industrial environment, so PCs feature locking doors and access covers, as well as watchdog timers to be used in case of lock-up.